In a remarkable interview with CNN's Jake Tapper today, the president's lawyer Rudy Giuliani suggested it was possible — and would be "perfectly normal" — that Trump talked to Michael Cohen before he testified about him to Congress. Giuliani added he didn't know if Trump and Cohen had such a conversation. Why it matters: It's not "perfectly normal" for subjects of or witnesses in a Congressional investigation to discuss testimony directly with each other. If witnesses or subjects are talking to each other, the government can always claim one is trying to influence the others' testimony. That's why lawyers counsel against doing it. But the act itself is not illegal. "Fundamentally, what is important is what Trump said to Cohen," said Kathy Ruemmler, who served as White House counsel to President Obama. "The fact that they may have discussed it is bad practice, but not in and of itself problematic." 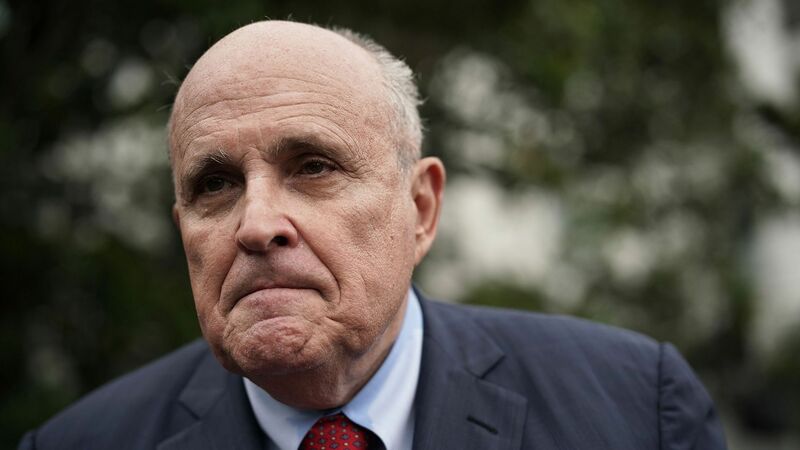 Top Washington criminal defense lawyers, both Democrats and Republicans, told me they couldn't understand what Giuliani was trying to achieve with his TV appearance. "Any defense lawyer would advise their client in an investigation not to discuss testimony with other people involved in the investigation in order to avoid the risk of obstruction or suborning perjury charges," said a Republican attorney who spoke on condition of anonymity because he works with the Trump administration and doesn't want to offend them. "Rudy is the gift that keeps on creating issues that do not otherwise exist. He should have taken the Mueller statement [denying the BuzzFeed story], embraced it and not said another word," said a prominent criminal defense lawyer, who requested not to be identified because he's active in Robert Mueller's investigation. The White House referred questions to outside counsel. So I texted Giuliani asking if he really thought it would be perfectly normal for Trump to discuss Cohen's testimony with him. "Cohen's lawyers reviewed his testimony and said it was truthful. ... Their lawyers had a joint defense agreement." A joint defense agreement lets lawyers talk to one another — not their clients — and only while the interests of the clients are aligned, former senior DOJ official Chuck Rosenberg told me. "Once those interests diverge — as they would when Mr. Cohen pled guilty — the agreement typically ends." The bottom line: I tried to clarify this with Giuliani. "You said to Tapper it would be perfectly normal for Trump to discuss testimony with Cohen. Now you're saying only through lawyers. Which is it?" By deadline, Giuliani had not replied. Go deeper: The New York Times' Maggie Haberman and Michael Schmidt published another interview with Giuliani on Sunday. In it, Giuliani indicated Trump and Cohen's conversations about the Trump Tower project in Moscow could have continued months longer than previously known.